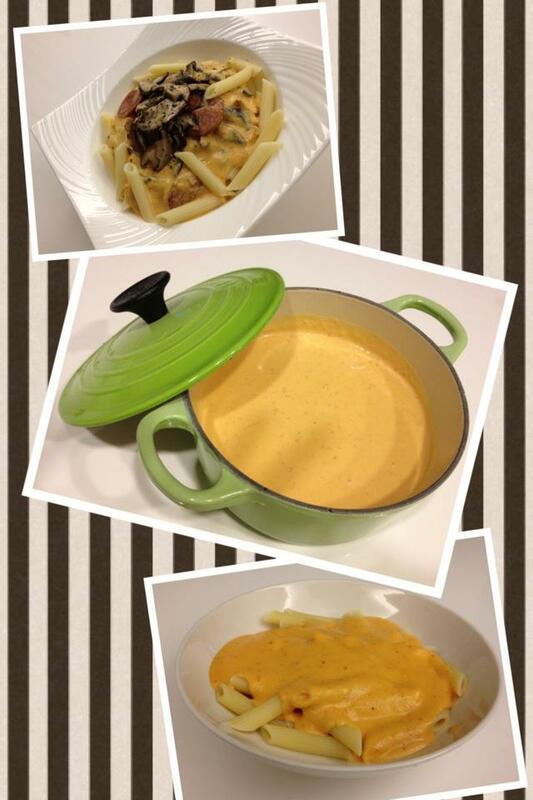 A while back Savvy Sis learned a basic recipe from a French culinary chef - Bechamel (White Sauce). This basic recipe acted as her personal saving grace when dealing with her "picky eater" children. The 2 kids can ask a million "WHY" when facing vegetable dishes. Instead of cajoling them into eating vegetable, she hides these ingredients in creamy pasta sauces. This basic trick is popular with both adults and kids. The photo shown is Creamy Red Pepper Pasta. To prepare, sautée butter, bacon, onions, red bell pepper in garlic and butter. Added sautéed ingredients to the white sauce, and then purée in a blender. May replace with any type of sautéed vegetables that suits your personal taste. Dash of salt and pepper for taste. Stir the ingredients over slow fire. Continuously stir until the sauce thickens. What is your go to sauce when making pasta?? *Thanks to Savvy Sis for the photo and recipe. The lasagna I make uses beschamel sauce. It is SOOOOO much better than that icky ricotta. i had no idea that was what it's called! I always stick with classic marinara sauce when it comes to pasta. White sauces are too creamy for me. Mr. A is a big fan of them, though! Oh yum! This looks insanely delicious. I'm sorry I've been MIA from the blogosphere lately. Life has been insanely busy. I'm sure you know what I mean. I'm a big bolognese fan, but I need to try this! I've never made my own bechamel! I didn't know white sauce is so simple.